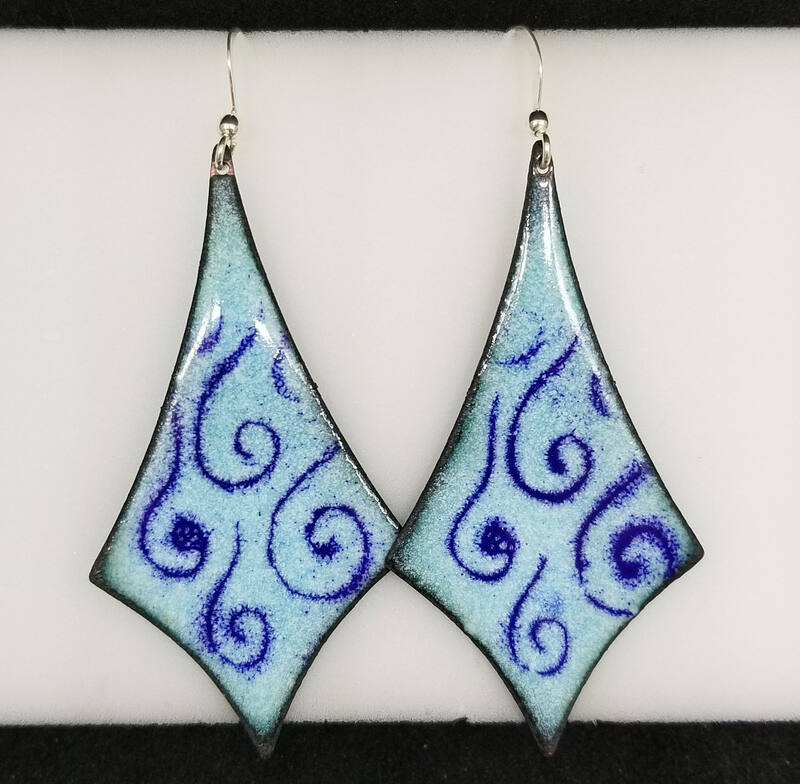 Lovely enameled earrings featuring enameled charms as well as copper ear wires. These can be worn casually, or work for any evening outfit as well. 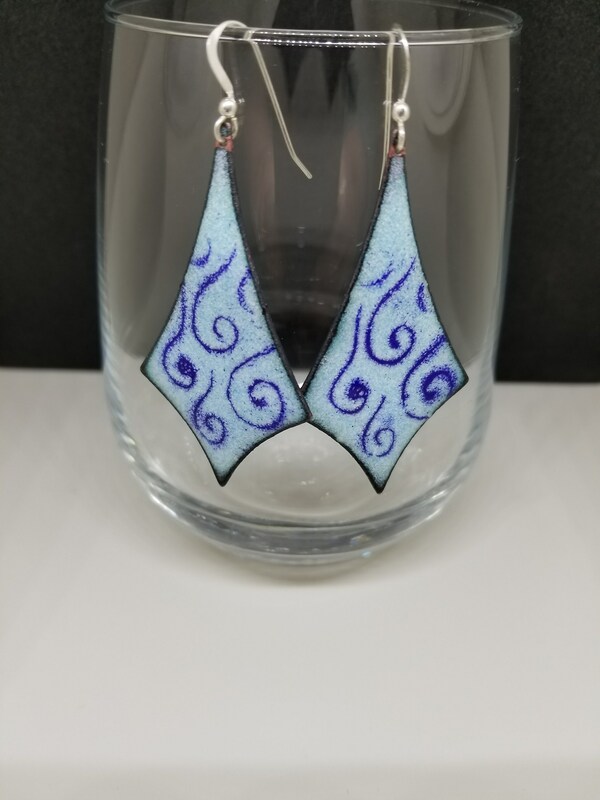 The enameled charms were created by me in my glass studio.